Tennessee’s largest health insurance provider realized it was not part of the solution. It was part of the problem. For the past six years, BlueCross BlueShield (BCBS) of Tennessee has been working to curb the number of available opioids, after noting a significant increase in newborns experiencing opioid withdrawal in 2010. In 2019, the health benefits nonprofit is removing Oxycontin, one of the most sought-after opioids on the street, from its list of covered drugs entirely, and implementing even stricter policies around all opioid prescriptions. Beginning Jan. 1, 2019, BCBS will no longer cover prescriptions for Oxycontin, replacing the class II narcotic with more tamper-resistant drugs. “We know Oxycontin has become a favorite drug to abuse on the streets,” said Dr. Andrea Willis, chief medical officer for BlueCross BlueShield of Tennessee. Also, effective Jan. 1, prior authorization, in which a physician needs to obtain approval from the health insurance provider before prescribing, will be required for short-acting opioids that can be dosed every four hours. Seven-day or less supplies will not be required to go through the additional rigor to authorize. BCBS is following the best practices and chronic pain guidelines set out by the Centers for Disease Control and Prevention. “There are receptors all over the body – the GI tract, nervous system. Giving a higher dose affects those other receptors too,” Willis explained. BCBS is implementing safeguards against dangerous drug combinations, such as opioids in conjunction with muscle relaxants, by equipping its system with alerts. Doctors would be the first to receive the alert. If they do not catch it, the pharmacist will also be alerted when a patient attempts to fill the drug combination. “Conversations on many levels will need to take place when that is detected,” Willis said. 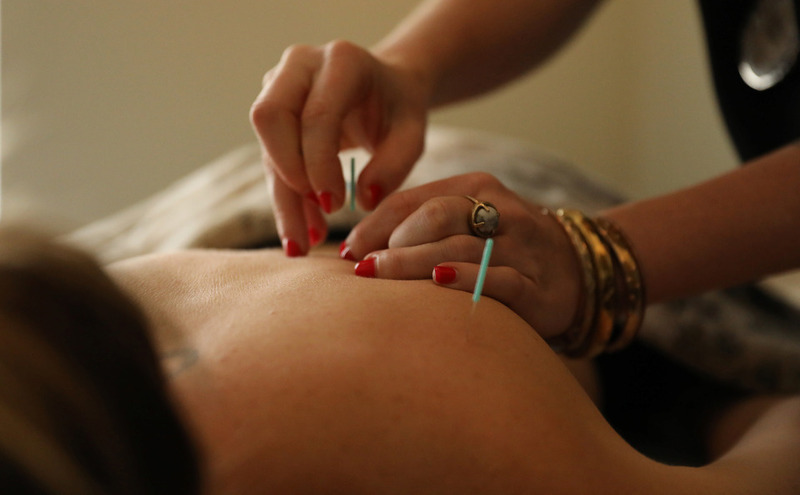 Acupuncture has been shown to have a relevant effect on chronic pain that persists over time that cannot be solely explained by placebo effects, according to research by the Acupuncture Trialists' Collaboration, published in the May 2018 edition of The Journal of Pain, the official journal of the American Pain Society. There have been more than 4,000 reported cases of Neonatal Abstinence Syndrome (NAS), a condition in which an infant experiences withdrawal from opioid substances the mother took during pregnancy, since the Tennessee Department of Health began tracking it in 2013. In 2016, the rate of babies being born with NAS was more than 60 per 1,000 live births in northeast Tennessee. While East Tennessee highlighted the problem, the crisis was happening all across the state and country. Tennessee has the third highest per-capita opioid prescription rate in the entire U.S., down from the second highest in 2016. About 1,200 Tennesseans died from an opioid overdose in 2017. In 2015, BCBS covered 1 million opioid prescriptions. In July 2016, BCBS started requiring prior authorization for long-acting opioids that are taken at 12 to 24-hour intervals. “If you have not been on opioids at all, then you should not get started on long-acting opioids right out of the gate,” Willis said. In January 2016, BCBS broke its silence and got in line with the national movement to limit the quantity of opioid medications. In addition to those who were prescribed opioids for the first time, in January 2017, BCBS also required prior authorization for those who were currently on opioids. “We found through data, some people were on opioids for years and years. The reason why they were put on opioids in the first place was no longer relevant,” Willis said. BCBS also set the MME of all opioids to 200 ml, which was consistent with Medicare at the time. People were also discarding pills at a record high with the launch of the "Count it. Lock it. Drop it." awareness campaign supported by the BlueCross BlueShield of Tennessee Health Foundation and other state agencies. The public was encouraged to count the opioids they have in possession, lock them up and when they no longer need them or they expire, dispose of them at an appropriate site. Since 2013, BCBS’ health foundation has invested more than $5.4 million in prevention and treatment support. “We’ve made progress, but we still have a ways to go,” Willis said.